Bay Area Climate Change Partnership! Have Your Say! Climate Change is here, it’s real, and is having an impact on the Hamilton – Burlington “Bay” Area. As announced in December 2017, Hamilton is partnering with the City of Burlington and Mohawk College to move forward on regional climate change initiatives, including the outcomes of the Community Climate Change Action Plan. Funding for the partnership was provided by the Province of Ontario. We want your say! As local citizens and organizations with opportunities we want you to share your ideas and concerns about climate change and what actions the Bay Area Partnership should undertake. Supported by the Centre for Climate Change Management at Mohawk, the Bay Area Partnership will be modelled after the successful Bay Area Harbour Remediation Council with the formation of a Bay Area Climate Change Council (BACCO) and Bay Area Climate Change Implementation team (BACCIT). To co-ordinate these efforts, A Bay Area Climate Change Office housed at Mohawk College is being formed. If you want to keep informed on the activities of the Bay Area Partnership, please send an email to climatechange@mohawkcollege.ca to add your name to our mailing list. We’ll keep you informed of upcoming opportunities to participate in the Bay Area Climate Change Action Plan process and other developments. Climate Change is already affecting the City of Hamilton. Over the past 10 years we have seen increased flooding, more extreme weather events – ice storms, freezing rain, high winds, warmer winters and hotter summers with more heat waves and hot days and nights. Given the amount of greenhouse gases already emitted to the atmosphere by local and global sources (transportation, industry, buildings, energy consumption – heating and cooling, waste and agriculture), impacts will continue in the near future and even increase for decades or centuries to come. It’s important for all of us to be prepared for likely climate changes and weather impacts in our City now and in the future so our families, neighbourhoods, communities, public services and local businesses can be as resilient as possible. Resiliency requires thinking and actions that will address impacts to our social, structural and natural infrastructure. A report conducted for the City by ICLEI Canada: The Science of Climate Change discusses the predicted climate change impacts for Hamilton, Ontario. To download the report click here. Please read and think what these impacts mean for you, your household or organization and the community. 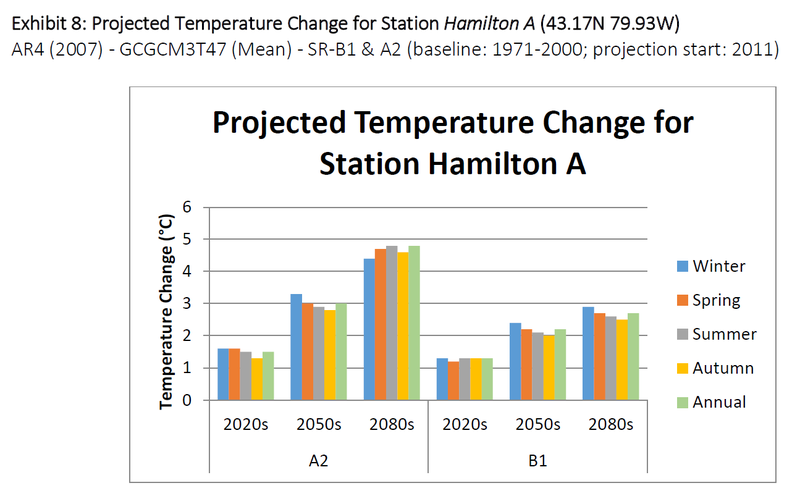 What can Hamilton expect, without immediate climate action? Intensity, duration, and frequency of extreme weather events, such as heavy rain events, ice storms, and windstorms, are expected to increase over the next century. 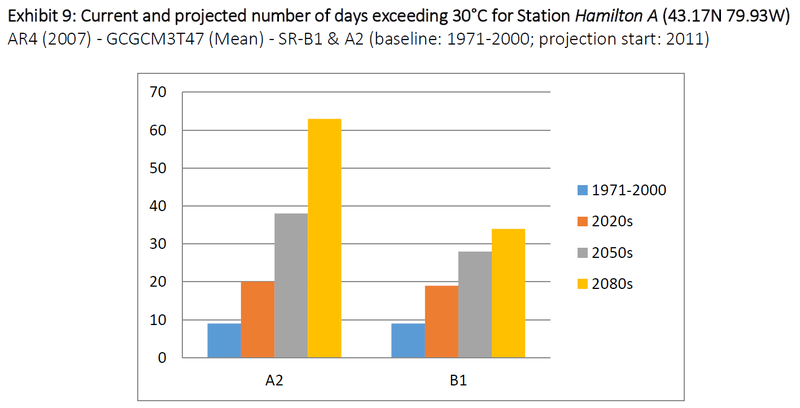 An increase in the frequency of heat days (>30°C) and warm nights of 20 days in the 2020s, 33 days in the 2050s, and 48 days in the 2080s. Increasing extreme precipitation events leading to flooding of the community since 2004 in areas across Hamilton including the 2009 Red Hill Valley Parkway flooding and the 2012 rainstorm. How are we planning to adapt? 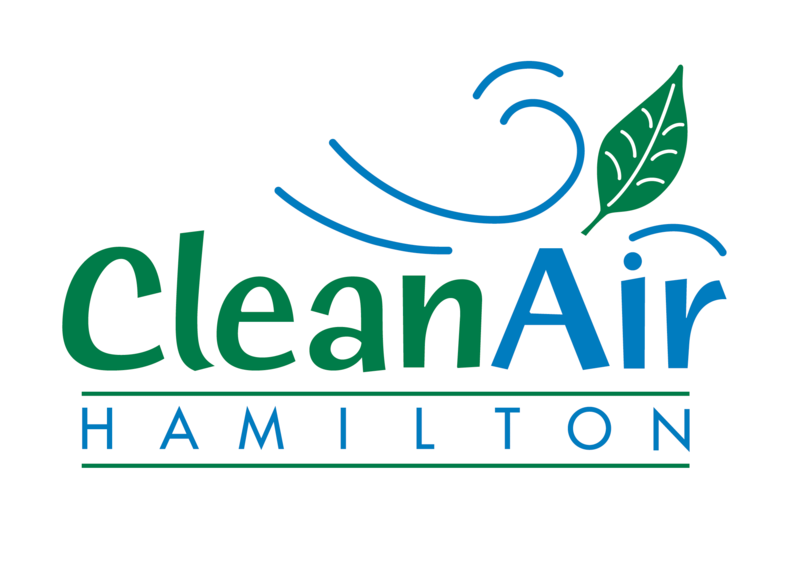 The Hamilton Community Climate Change Action Plan [link] identified the need for both reduction of greenhouse gas emissions that are driving climate change and the need to adapt to the changes and lower the risk of impacts of a changing climate. The City of Hamilton began engaging in the climate change impact adaptation planning process through the ICLEI Canada Building Adaptive and Resilient Cities program looking at impacts on the services that the City provides to residents and operations that keep the City functioning during extreme weather events. Concerning gaps were identified around impacts for and in the broader Hamilton community that the City either would not experience directly in its operations or had no authority to manage in the community (e.g. increase insurance, damage of personal property, agricultural impacts). It is clear that in order for adaptation to be effective , and successful in Hamilton, it will need the engagement, communication, understanding and supporting partnerships of the Hamilton community at the social, organizational, local economic, academic, and personal level. Workshops and meetings to gain community insight and feedback in the adaptation planning process began in 2017 and continue as an on-going effort. Major concerns identified so far by the community include extreme heat, flooding, extreme weather events causing property damage and economic impacts, mental health impacts, and financial impacts relating to increases in utilities and food prices. Community Climate Change Impact Adaptation Planning will be ongoing. Currently, we are working to better understand the risks and vulnerabilities that different Hamilton communities will experience as a result of climate change impacts by engaging with those communities. This information and exchange of ideas will be used to inform adaptation plans and actions at the organizational, community and the household level to increase resiliency in the Hamilton community. How can I be involved and take action? Contact us at 905-546-2424 ext. 5288 or climatechange@hamilton.ca to learn more about how to be involved in the community climate change adaptation planning process.